With perfect fit class-leading comfort lightweight trail protection and unmatched power transfer the Infinito X1 MTB cycling shoe delivers ultimate cross-country race and trail riding performance. The new Infinito Closure System its strong stiff sole weight-saving materials and the intelligent implementation of new technology combine to make the very best high-performance mountain bike shoe. The Infinito Closure System uses two micro-adjustable double Boa IP1-B dials running laces in an infinite configuration that adjusts the fit of the upper on the forefoot and through textile guides that eliminate pressure points. It works with fi’zi:k’s Dynamic Arch Support technology and the Increased Volume Control system to shape the whole shoe’s 1.4mm thick Laser Perforated Microtex upper directly around the foot’s profile. The protective upper harmonises with the new mesh footbed insole’s improved ventilation and comfort. Its laterally stiff light Uni Direction Full Carbon Outsole is ventilated and delivers ultimate power transfer for XC and trail performance. Pronounced treads on the heel edge and toe sections allow for mud clearance around the cleat recess and provide grip and protection on any riding surface further enhanced by detachable cyclocross-style rubber studs. Infinito X1 is fi’zi:k’s range-topping MTB shoe and benefits from the latest technologies materials and improved design based on feedback and input from some of the world’s leading pro riders. Infinito X1: the ultimate cross-country race and trail riding performance shoe. Glove-like fit: it provides custom comfort with smooth even closure and no pressure points. Powerful closure: once locked into place BOA reels and laces stay that way. Quick on quick off: BOA saves time when seconds count. On-the-fly adjustment: get easy one-handed adjustment with a quick turn of the BOA dial. Durable: made from aircraft grade stainless steel BOA laces are stronger per gram than tank armour. Lightweight: BOA closures shed water mud and ice shaving precious weight. Adjusting the Boa closest to the toe will alter the fit and distributed pressure around the foot enhancing comfort and performance. Adjusting the BOA dial will alter the fit of the heel cup around the foot increasing power transfer and maximising performance. Full unidirectional carbon fibre with rubber tread and toe spike compatibility. 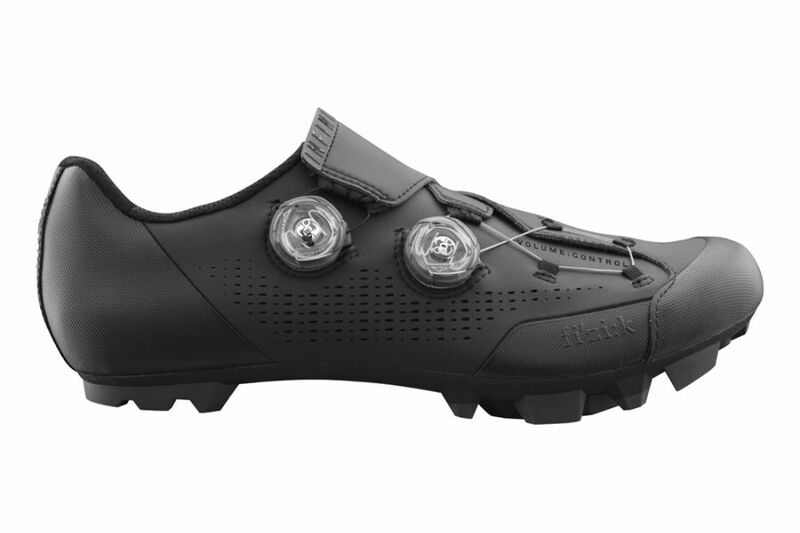 Please see below for delivery options for Fizik X1 Infinite Mtb Shoes 45.5 - Black.